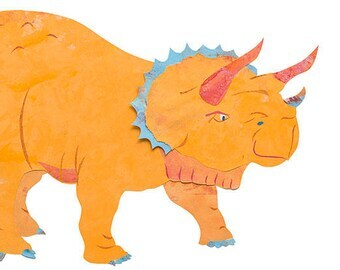 High quality print of my painted paper collage stegosaurus dinosaur! 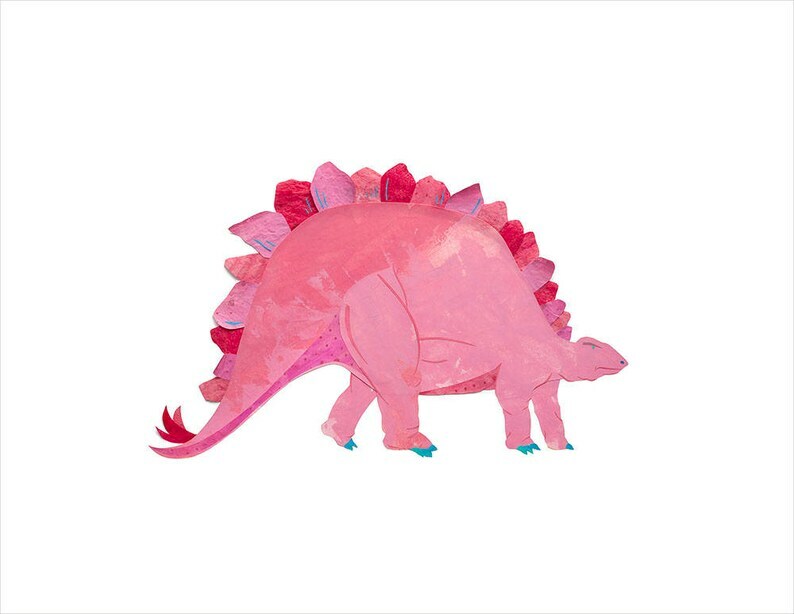 Each detail of the stegosaurus is carefully cut out and meticulously glued using my signature collection of hand painted "peppered paper." 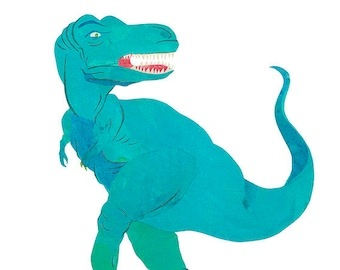 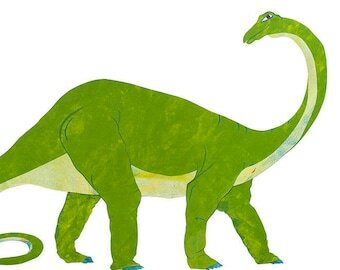 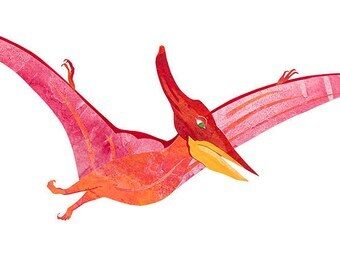 This print is perfect for bringing a little bright and fun to a children's room or nursery, or wherever you'd like a pretty dinosaur in your home.